Both industrial and manufacturing companies rely on Wall to create high quality power solutions for a wide range of equipment. From assembly tools to heavy manufacturing equipment, Wall Industries can customize power systems tailored to fit into your industrial application or environment. This 1200 watt AC-DC open frame supply offers 24VDC output and 0-50 amps fully controllable output current. This supply has been liquid cooled and has been 100% EMI and agency approved. This unit consists of two 1200 watt power supplies in parallel. The supplies are 24Vdc out at 50 amps each and packaged as a 24Vdc out at 100 amp unit. The maximum current can be set by several methods and if the impedance is low enough, the power supply will remain at the current setpoint as the voltage drops (power limiting mode). Wall has been faced with many challenging scenarios where power systems have had to work in extreme industrial environments. Facing obstacles like power surges, strict size and weight requirements, large workloads, and fast delivery, Wall was able to create solutions that met client needs. This hand-held assembly tool application required an updated power supply design to fit into a reduced footprint. Client specifications underscored its commitment to a smaller and lighter product offering for its customers. Wall worked with the client’s product development team to convert the power supply from a linear supply to a switching supply. Wall’s updated design met the client’s requirements for size and weight, with a substantial increase in power supply efficiency. This water purification and chlorination application for amusement park and commercial installations required a power supply that could bear up under demanding workloads. The client turned to the Wall’s custom engineering expertise after other suppliers failed to provide a workable solution. 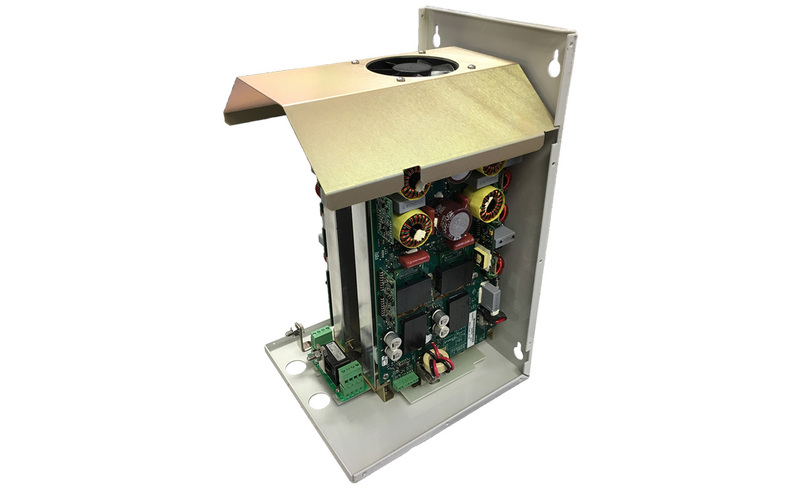 Wall’s engineering team worked with the client to convert product designs from large, very heavy linear power supplies to custom-designed, switching power supplies. The updated design met or exceeded all client requirements for size, weight and power supply efficiency. This material handling application required power supplies that would withstand power surges and interruptions in conveyor belts used in warehousing and material handling installations. The client came to Wall Industries to resolve multiple power supply failures in their conveyors due to power outages and the resulting power surges from power being restored or switching over to backup power sources. 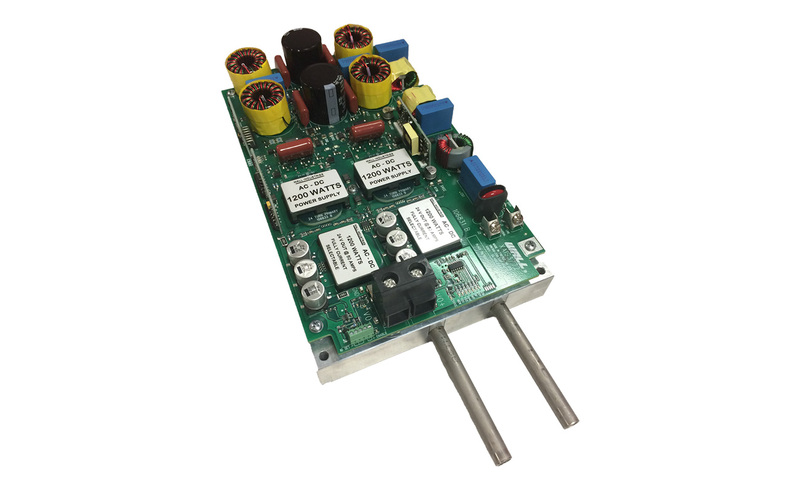 Wall’s engineers developed a 480 volt 3 phase input power supply with LPS rating (<100watts) and redundancy to ensure 24×7 up-time.